*Note: You need the cake mix and the ingredients to make the batter. I always "doctor up" the cake batter, using milk and melted butter in the place of the water and oil. 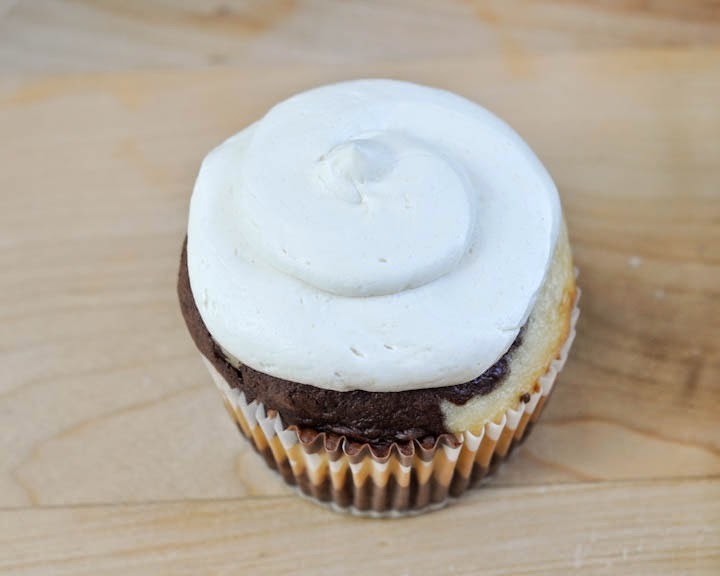 If you want to make the striped cupcakes with chocolate and vanilla, you will also need 1 oz. melted chocolate and 1 Tbsp. cocoa powder. 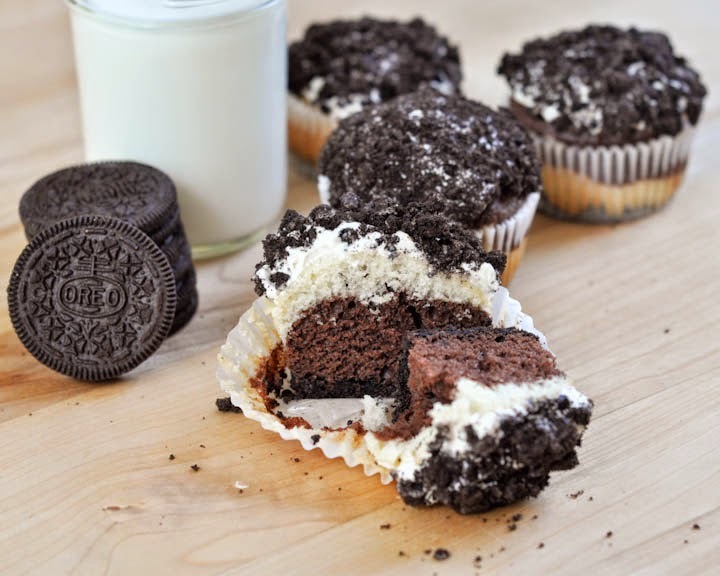 I would begin by cooking the icing so that it can cool while you work on the cupcakes. 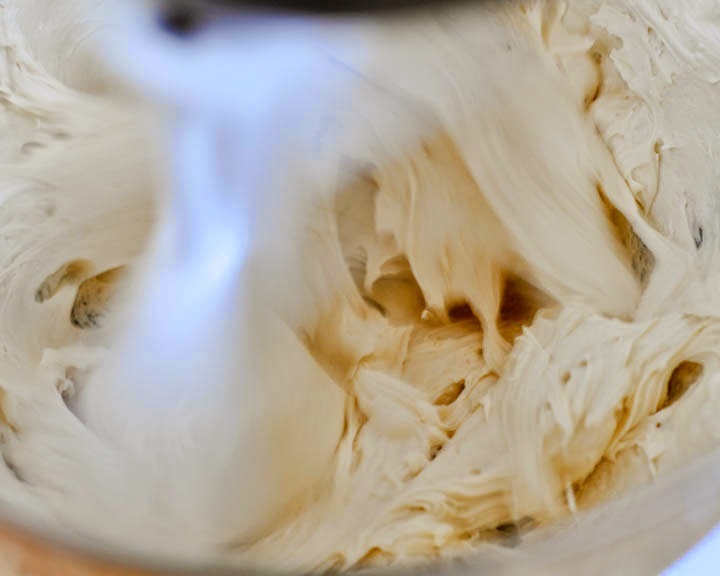 When the milk/flour mixture is cool, cream together the butter and sugar in a medium-sized mixing bowl. Add the cooled milk mixture, and whip on high speed until the icing is fluffy and holds stiff peaks. Crush about 30-40 Oreo cookies, enough for about 4 cups of crumbs. 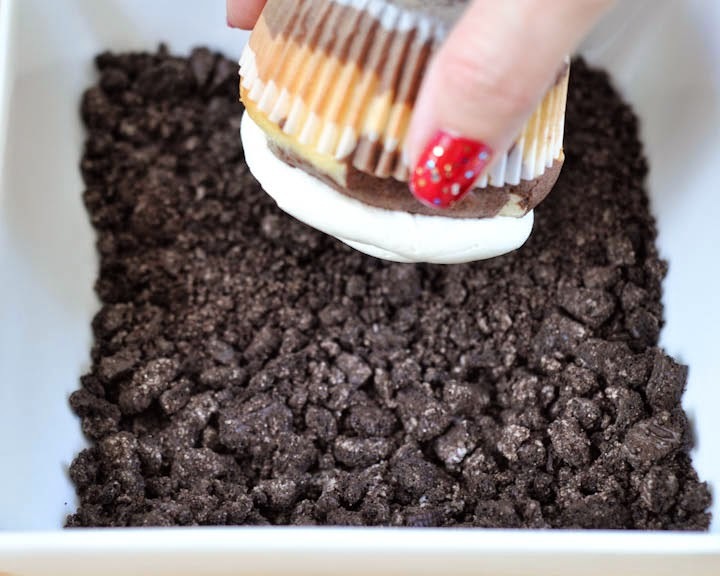 Divide the crumbs into two bowls of 2 cups each. Into one bowl add 2-3 Tbsp. melted butter - enough so that the crumbs will stick together if pinched between your fingers. If you are using a white cake mix, make the entire mix according to the package. (Or you can follow My Recipe to Make Cake Mix Taste Homemade.) 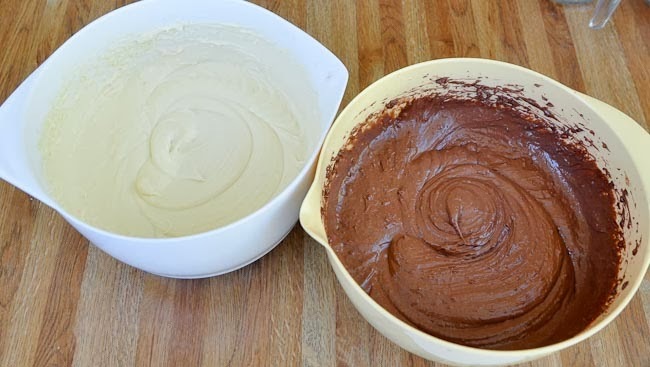 Remove 2 cups of the batter, then add the 1 oz. of melted chocolate, and 1 Tbsp. cocoa powder to make the other half of the batter chocolate. 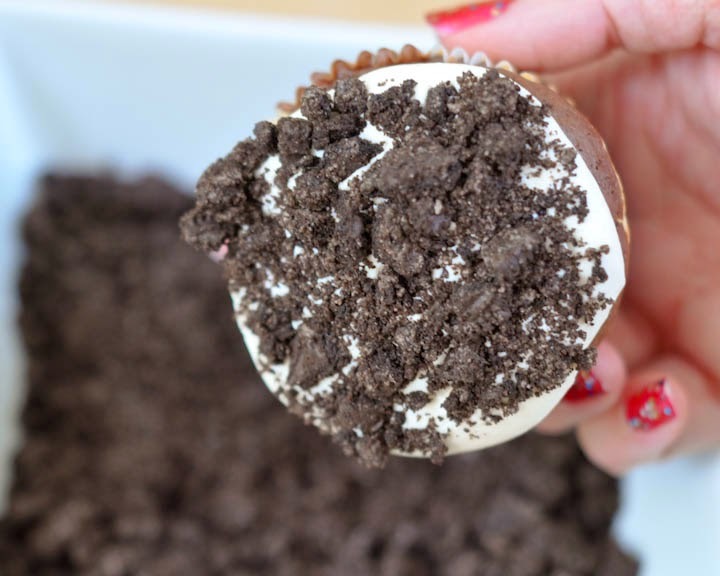 Layer the batter in the cupcake cups. *This was harder than I'd like to admit. It worked best when I used a piping bag to fill the batter in, but even then it wasn't perfect. 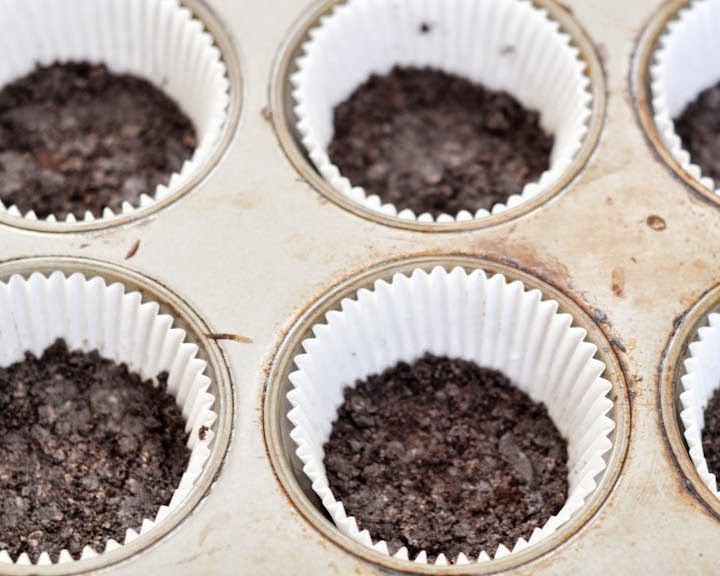 Just be sure to keep the cupcake cups less than 2/3 full, or there will be too much batter, and they'll bake up over the tops of the pan. 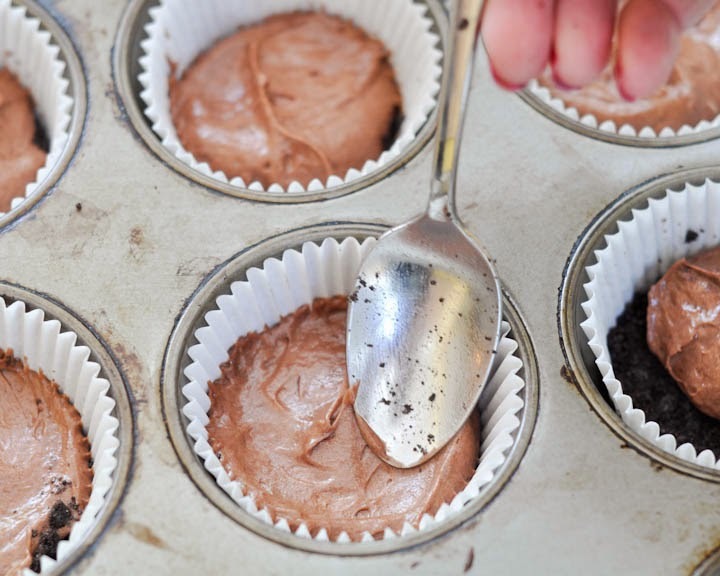 Let them cool (while you finish making the icing). 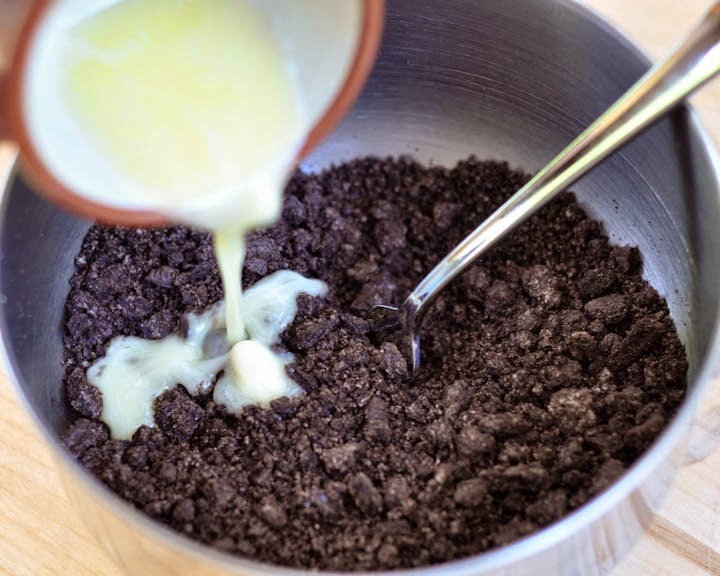 You will dip the top in the remaining crushed Oreos, so it really doesn't matter what the icing looked like to begin with. It will smash out around the edges anyway. 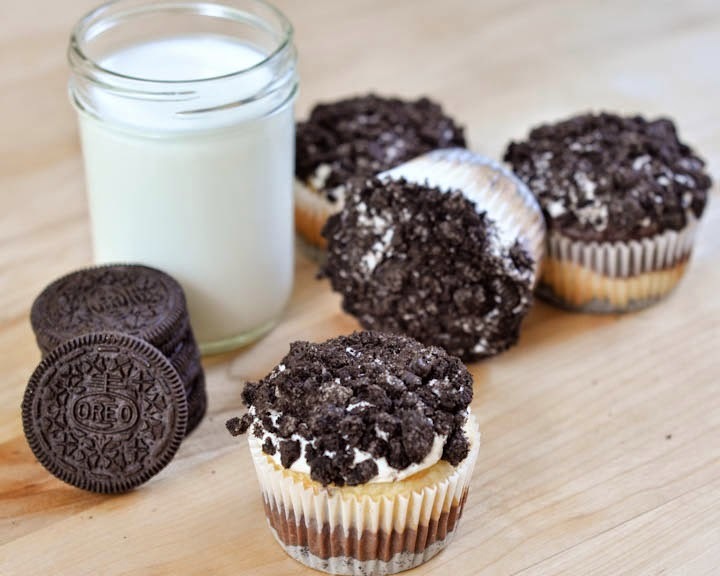 Enjoy these with a tall glass of milk! They're really, really good.